5 questions for home buyers to ask! No loans to repay, modest aspirations and not a very ambitious retirement target. For Mumbai-based bank executive Alpesh Mehta and his schoolteacher wife Deepali, saving for their child’s education and marriage, as well as their own retirement, will be a breeze. But this could change if they go ahead with their plan to buy a house.In Mumbai, the minimum price of a 800-1,000 sq ft house is `1 crore. They will have to liquidate all their existing investments to raise about `20 lakh for the downpayment. The balance `80 lakh, if borrowed at 10% for 20 years, will mean an EMI of `77,200, which is roughly 60% of their combined monthly income of `1.3 lakh. Either the Mehtas will have to stop saving for their child’s goals or their retirement will have to be pushed back.The Mehtas are not the only ones entering this minefield. Across the country , a number of people are firming up plans to buy a new house. The New Home Index of Zyfin Research, an indicator of home buying plans of 3,000 households across 11 cities, has inched up in the past 12 months (see graphic).Though it is still in pessimistic territory, buyers are less pessimistic now than they were in May 2014. “The decline in pessimism has more to do with increased optimism about future income and job security than lower borrowing costs,“ says Debopam Chaudhuri, Chief Economist and VP-Research, ZyFin Research. Despite the surge in buyer sentiment, real estate is still not a good investment in most parts of the country .Property price are still very high and despite the recent interest rate cuts, the cost of borrowing has not come down significantly. Before they take the plunge, potential borrowers need to ask themselves 10 questions. Your answers will tell you whether you should save more for a bigger down payment, buy a smaller house, invest in a cheaper city or not buy at all. 1. Can you afford the home loan EMI? It might sound a no-brainer, but many home buyers get this wrong and bite off more than they can chew. The home loan EMI should be around 40% of your net household income. But that is if you don’t have other loans. 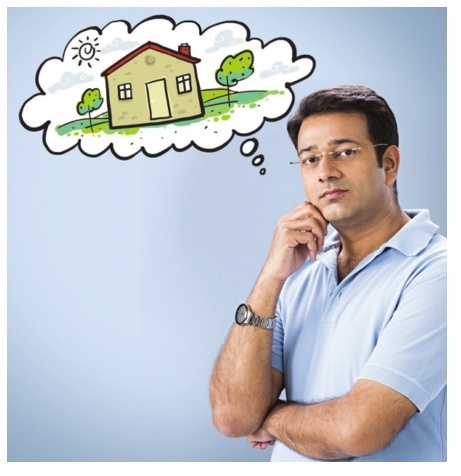 A high EMI outgo can put your house-hold budget under pressure. If the home loan EMI accounts for more than 50% of the net household income, other goals will have to be downsized or junked altogether.Don’t be fooled into thinking that the recent cut in home loan rates have made property a viable investment. 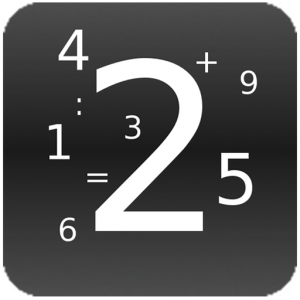 It will have a marginal im-pact on the total EMI. A 25 basis point cut will reduce the EMI of a `50 lakh loan for 20 years by `826. It’s easy to get ambitious and go for a bigger loan if you are expecting generous increments in the coming years. Don’t make the mistake of leveraging on future income. While your income would certainly rise, but so would your expenses and financial commitments. 2. Have you factored in the other costs? The advertised price is usually the base price of the property . The add-ons are usually kept hidden till you sit down with your cheque book. Many builders will slip in charges for facilities that you thought were free with the property. Others will keep certain charges hidden from the buyer by tucking them away in the fine print. These apart, there are other big-ticket add-ons such as the legal costs. The stamp duty and registration charges payable to the authorities add up a neat 7-8% to the overall price of the property. In all, these charges can push up the property price by 20-25%. Make sure you have factored in these additional costs. 3. Have you considered renting? The high property prices means that renting is a better option in most cities.A 2-BHK house in Mumbai will cost close to `1.2 crore. If a buyer puts in `40 lakh as downpayment and takes a loan of `80 lakh, the EMI for 20 years comes to about `76,500. He also loses around `23,500 in interest that the `40 lakh downpayment could have potentially earned. The total cost per month comes to `1 lakh while he can easily get a similar house on rent in Mumbai for about `40,000-45,000 a month. Don’t go by hypothetical examples.Instead, use an online rent-or-buy calculator to find which is is better for you.The one developed by Bigdecisions.com is a sophisticated online tool that takes into account several things, including the cost of the house, the amount of downpayment, the rate of interest of the home loan, the expected appreciation in the house price, the rent payable for a similar accommodation in the area and even the expected hike in the rent every year. 4. Will house value rise faster than the interest on loan? In the early 2000s, when home loans were available at 6-7% and property prices were galloping at 20-25%, it made eminent sense to invest in an upcoming apartment project. Now, property prices are appreciating at a slower pace. In some markets, such as Noida and Greater Noida in the NCR, prices have even come down in the past 12-18 months. If you are buying property as an investment with a loan, first assess whether its price will appreciate at a rate higher than what you are paying on the loan. “If you are payings 10% on the loan and the property price is expected to appreciate by 5-6%, then it is a bad buy,“ says Manish Shah, Cofounder and Chief Executive of Bigdecisions.com. Shah says the expected rate of appreciation is the single biggest determinant in their rent-or-buy calculator. “It makes the biggest difference in the decisions,“ he says. 5. Will this purchase force you to postpone other major goals? Stagnant property prices and high EMIs are not the only problems that potential home buyers should be wary of. Their home buying plans can have serious implications on other financial goals, such as saving for their children’s education and marriage and their retirement. If the home loan EMI is too big, it will push other goals out of the financial plan. Worse, buyers like the Mehtas might have to liquidate existing investments to raise money for the downpayment. Though parents are unlikely to surrender child insurance plans and education related investments, retirement planning is easily sacrificed. “Younger people tend to think that retirement is an old age problem and defer the investment,“ says Shah of Bigdecisions.com. It is easy for investors to raid their retirement savings to fund their real estate dreams.You can take loans from the Provident Fund or the NPS for buying a house.Buy a house only if the purchase will not impact other goals. Otherwise, be ready for an asset-rich but cash poor retirement. Or not having enough money to send your child to a good college. Author Vijayananda ReddyPosted on April 25, 2018 April 25, 2018 Categories Fixed Interest Rate, Home LoanTags Fixed rate of Interest, floating rate of interest, Home Loan, Hot TipsLeave a comment on 5 questions for home buyers to ask! By Niranjan Hiranandan, President, National Real Estate Development Council (NAREDCO), which works under the aegis of Ministry of Housing & Urban Poverty Alleviation, Government of India. As Santa Claus time comes closer, I look at the ‘gifts’ that we received in 2017. In the Affordable Housing segment, we expect the PPP model to take off and make a major difference. As we come to the end of 2017, I am reminded of the scene last year: nearing Christmas in 2016, Demonetization had happened recently. This was arguably, the single-most important factor which positively impacted real estate, in terms of encouraging digital payments in real estate transactions. This was just the beginning of a ‘new regulatory regime’ which continued to introduce us to newer regulatory norms through 2017, a year that will be remembered as the year of paradigm change in terms of Indian real estate. While the year started with demonetization having recently been implemented, the impact continued almost till April 2017. Then we had the Benami Properties Act, followed by RERA and GST – and then, the amendment made to the Bankruptcy and Insolvency Code. This is a list of new regulatory aspects which impacted stakeholders. The paradigm change that these brought about changed how real estate transactions happen. For one, right since Jan 2017 till the festive season started towards the second half, 2017 was largely a year of slow market; slower sales and a ‘wait and watch’ attitude on part of home seekers. Commercial real estate did well across 2017. To give an example, a start of Hiranandani Signature, a 16 storey commercial tower with 4 lakh sq. ft. of office space in Gujarat’s GIFT City, in early December gives complete confidence on positive trend. For commercial realty, in 2017 it has done good, should do better in 2018. REITS are still at the ‘take-off’ stage, we hope to see REITS ‘take flight’ in 2018. Affordable Housing emerged as the driver of real estate growth through 2017, given the initiatives and support from the government. Home Finance also being at record low interest levels provided the extra ‘boost’ needed to ensure that a home seeker finds a ‘dream home’ becoming a reality, with a home loan. With Affordable Housing emerging as the rising star of Indian real estate in 2017, the Government also made efforts to boost the mission of “Housing for All” by 2022. The policy reforms under PMAY, hiked the earlier MIG-1 carpet area of 90 sq m to 120 sq m and the earlier MIG -2 carpet area of 110sqm to 150 sq m. So, in these few aspects, 2017 was positive. Would one define 2017 as a year favorable for realty buyers, or a year for realty developers? I would not make this an “either – or” scenario. This was truly a year that was favorable – as also challenging – for both, buyers and developers. To begin with, demonetization gave a push to digital payments. Then, the first half of the year saw transactions being put on hold, as stakeholders wanted to see the impact of RERA. Once RERA was implemented, it was GST which was next in line for implementation – effectively, the ‘fence sitters’ moved on to becoming ‘actual buyers’ from the festive season. It followed almost half a year of very slow sales, and the off-take has been slow in moving upwards. At the end of 2017, real estate is moving back towards normalcy, albeit under the new regulatory regime. Talking of which, it has also been a year when safeguards for investors are getting due attention and a more transparent and accountable industry has turned more attractive for FDI. In the new regulatory regime, construction, like other aspects of real estate and the Indian economy, requires proper working methodology, one that is transparent and includes accountability – which will ensure adhering to the new regulatory regime. In this regard, 2017 was by large a year that brought sustainability to Indian construction industry. Looking into 2018 and the future, rationalization of tax as a result of the move to cover real estate fully under GST, and providing a boost for rental housing are the two key drivers to look forward to. In a nutshell, 2017 for the real estate sector has definitely been good – in the long run. In the short run, it can actually be termed ‘challenging’ – sales and new launches were slow through most of the year, with the ‘revival’ happening from the festive season. 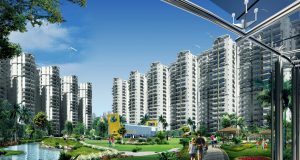 Through 2017 and into the future, consumer confidence will grow as a result of RERA, the developers will work in a more transparent manner and be accountable for their projects. Affordable Housing will be the driver of real estate growth, given the initiatives and support from the government. Home Finance is also at record low interest levels, this will ensure that a home seeker will find it to his/ her advantage of buy a home with a home loan. So, 2017 can be summed up as ‘positive’, looking at the long term perspective. Launched Project or a Livable Condition Project. Which One Should You Prefer? Buying a home is no doubt, an expense that needs a lot of planning, both time and budget. What is the most important factor while planning to buy a home is affordability, followed by preferences and priorities. Before you plan to buy a home, know your source of income, calculate your expenses and savings. Make sure you have enough amount for the down payment, for rest is funded by home loan. Research on the best-fit home loan product. Know your credit limit. Now decide on your priorities. Do you have a time limit? Are you looking in a particular place? Do you need multiple bedrooms in your home? Analysis on above points will help you short-list and finalize on your property. Undoubtedly, an option keeps you in dilemma. Which staged property to buy? Under construction one or a completed one? Let us dive into the details. 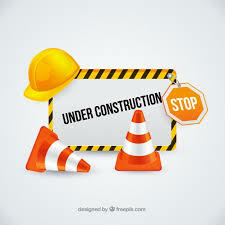 Under construction property is the best if you fall short of complete investment. If you plan to shift to a new home only after two or three years. If you want to save and self-fund than get funds from any other source. If you want to have a customized finished apartment. Planning to buy a home – Liveable condition one or under construction one. 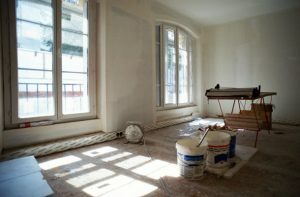 Similarly, if you choose a livable-condition apartment, you need not worry about the on-time completion of the project. You get a finished apartment where you can just go ahead with interiors of your taste. You can plan on a complete home loan EMI with out any hassle. But what are the points to be remembered while booking an under-construction apartment? Research about the builder. Go ahead if they are known for timely delivery. Decide what to choose w.r.t. bank loan. Pre-emi or no pre-emi one. 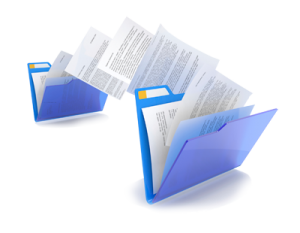 Get a thorough legal check done for the documents once you get them after paying the booking amount. If not satisfied with the property, do not hesitate to call back your decision and money as well. If you choose a pre-emi option, ensure that you keep a track on the amount disbursed in stages and the increase of EMI. If there is a delay in the delivery, ensure that you are paid back the assured percentage as per the agreement. According to the real estate regulatory authority, the builder should promote only a launched project but not a pre-launched one. So, it advisable that you choose a launched one if you choose an under-construction property. While finalizing the project, ensure that you analyze on every point in detail and choose that fits your financial plan. Author keerthiPosted on April 3, 2018 April 4, 2018 Categories Loanyantra, Real EstateLeave a comment on Launched Project or a Livable Condition Project. Which One Should You Prefer?